Looking for something? This feature is coming very soon! GRAB NOW! Light & Easy Meal under Best Buy for your Breakfast & Tea time! Get delicious food delivered to your door in 3 simple steps! 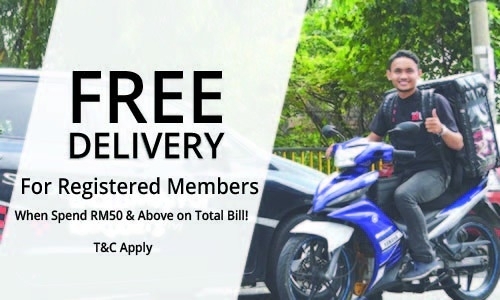 We are offering our delivery services that combines culinary experts with quality ingredients, all delivered directly to YOU, with a click of a button. 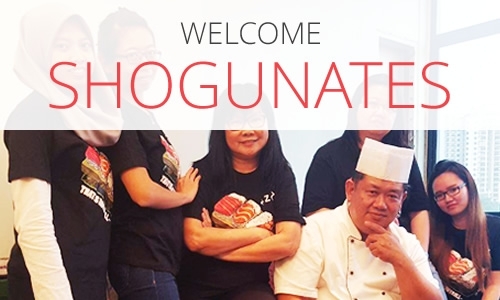 "Worth to order food with shogun2u.. Their portion, seafood, desserts all good delivery always on time even my place difficult to find (I find my own initiative to write the direction on remarks ☺️) i love the cheese tarts, taste sooo yummy"
"Had a team lunch for 10pax in Kajang, CS was prompt to inform our order will need additional time. Rider called one more time to confirm on new time, and guess what - he arrived 15mins early! Am seeing serious improvement on delivery service by S2U, since we have been ordering from day 1. Many of my colleagues are first time S2U, mostly happy with our food. One drink (Mango juice limited edition i believe) was wrongly provided (gace us a Peach drink instead), and we made a live chat to feedback to CS about it. Surprise again, a rider actually came all the way to Kajang to replace that one drink! S2U may not be perfect but i do feel they are very serious and improvement on the logistics and CS. All in all, very satisfied." "Delivered on time, cheese cake and all food ordered were so tasty!" Be the first to know about new products, special offers and recipe ideas. Prices shown are inclusive of 6% GST. Servings featured are for illustration purposes only. Promotion is valid while stocks last or validity period. Management reserves the right to change and / or remove items from menu without prior notice. 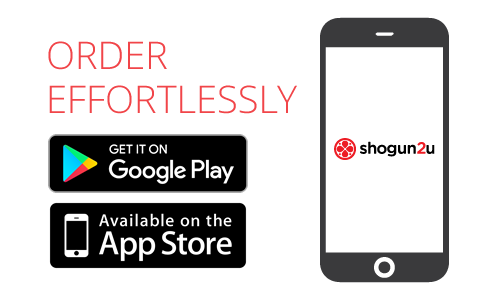 © 2019 Shogun Xpress Holdings Sdn Bhd (1033910-U). All Rights Reserved.